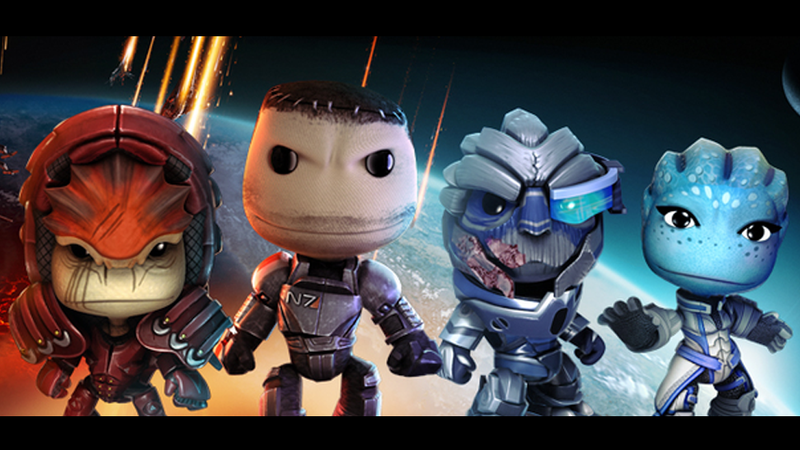 Sackboy is taking on the Mass Effect universe, in the cutest way possible! Available Wednesday, the ME3 pack for LittleBigPlanet 2 features a bunch of Mass Effect stickers and 4 costumes depicting Shepard, Garrus, Wrex and Liara. Look at them.